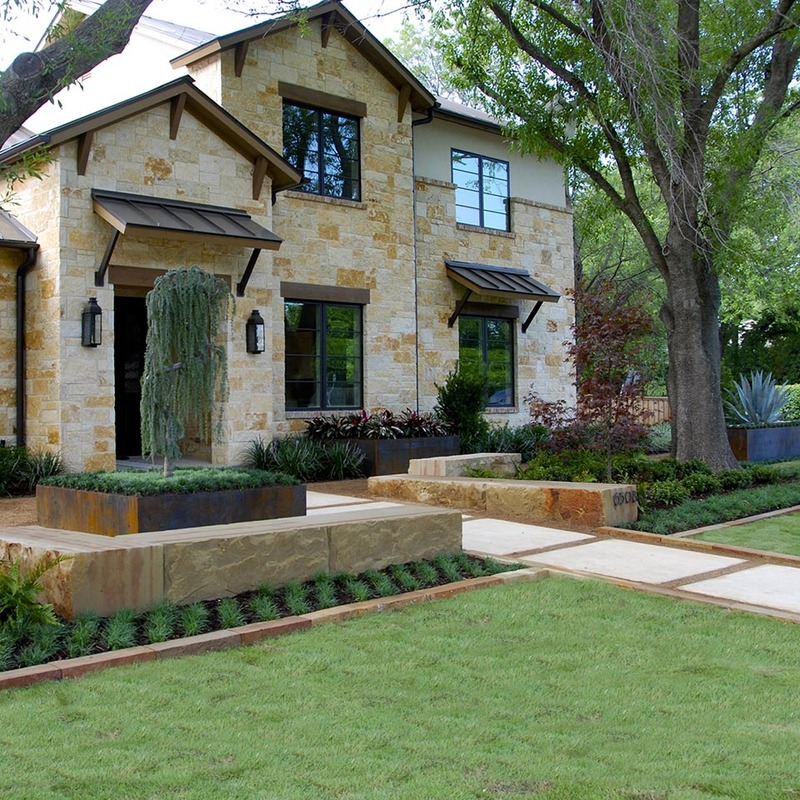 Our design for this new home build by Waterford Custom Homes included special functional applications for this unique front yard corner lot. 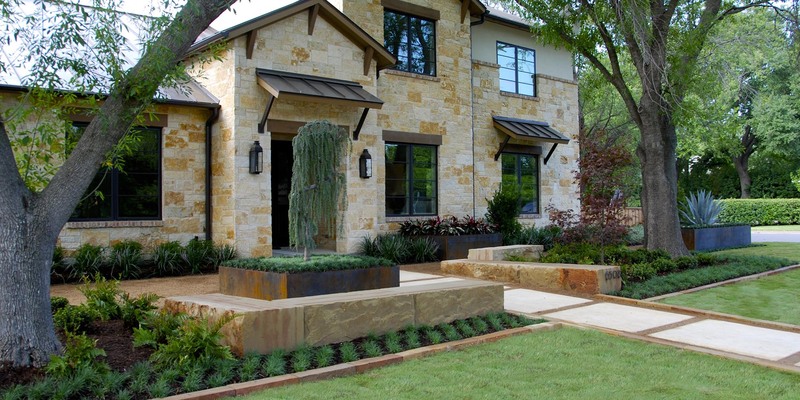 We created a warm but minimalistic courtyard in the entry using large quarry blocks for outdoor seating. 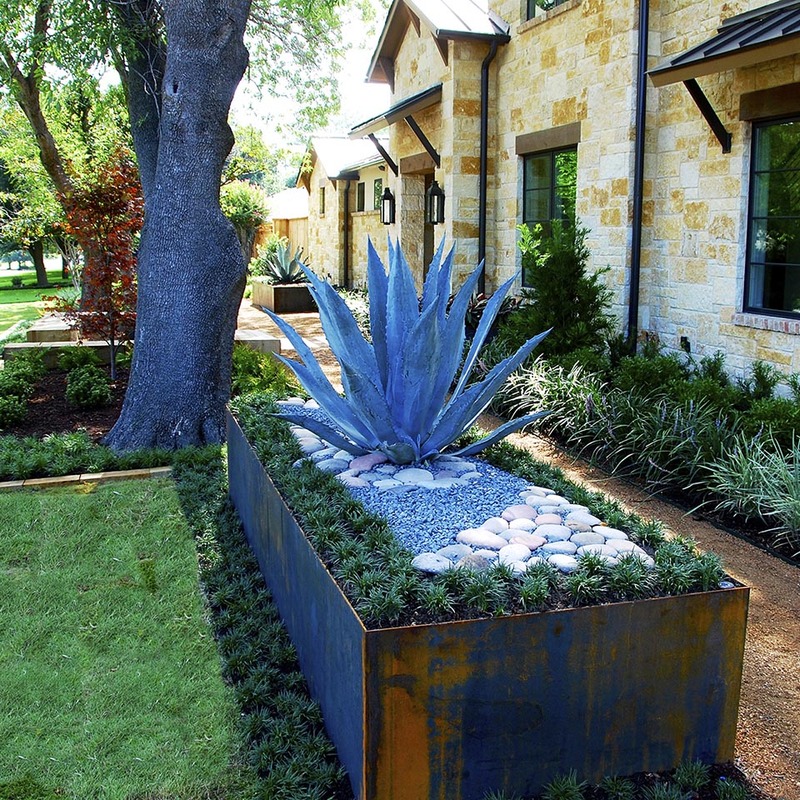 Hero size welded steel planters and elevated specialty accent plants, including Weeping Blue Atlas Cedar and Blue Agave have decorative pebble stone and aggregate inlays. 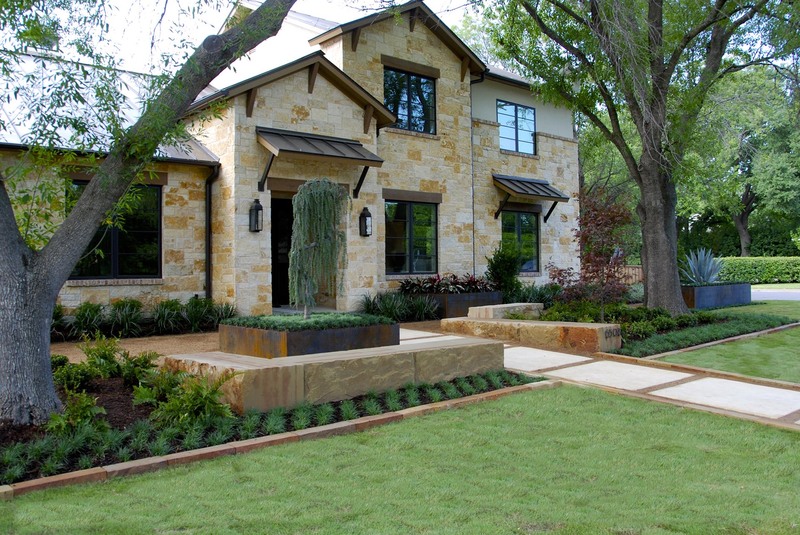 The Zoysia lawn and beds areas are contoured with milled quarry stone edging. 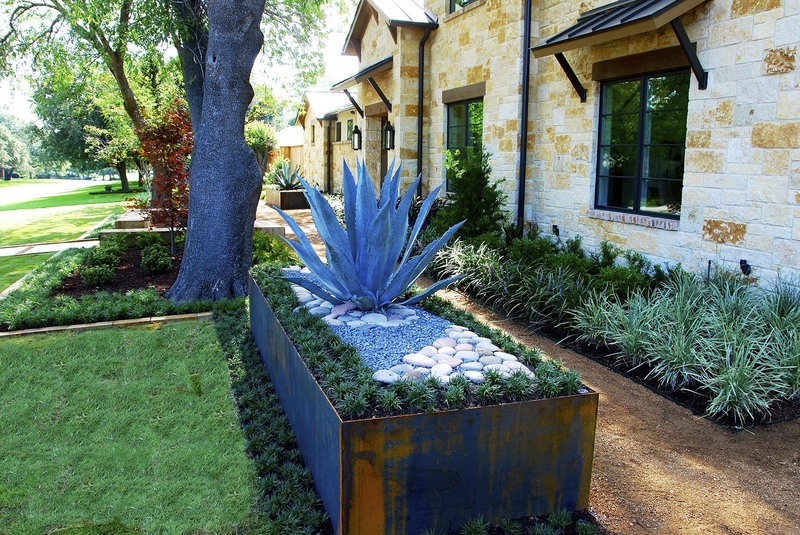 Decomposed granite paths add contrast to the planting palate of materials while unifying the color of the home facade within garden. .